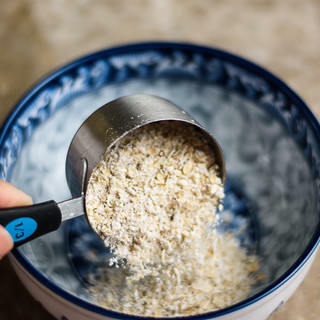 There are many different ways for using oats in our daily lives. 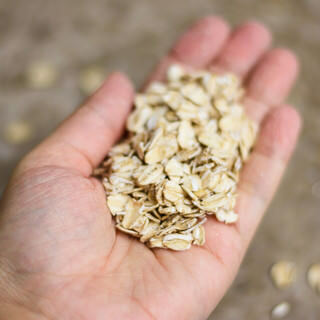 But one of the favorites, of course, is to utilize oats for our breakfast needs. 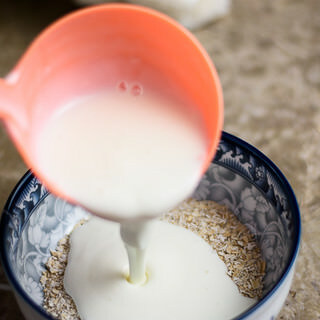 I usually just add milk, cook oats in low heat, add butter and a little brown sugar. 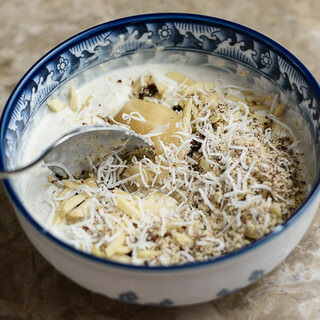 That’s the way my kids always enjoyed their “kasha” (porridge). 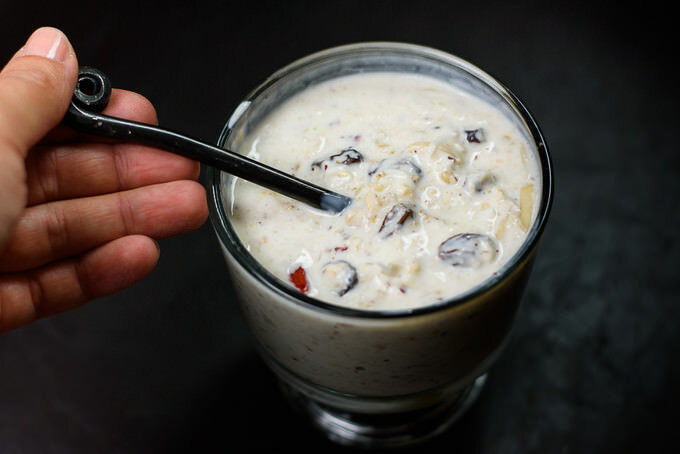 While I knew I could add berries and a lot of other ingredients, what I didn’t know that I could also enjoy oats cold and soaked in plain Yogurt or in Kefir. 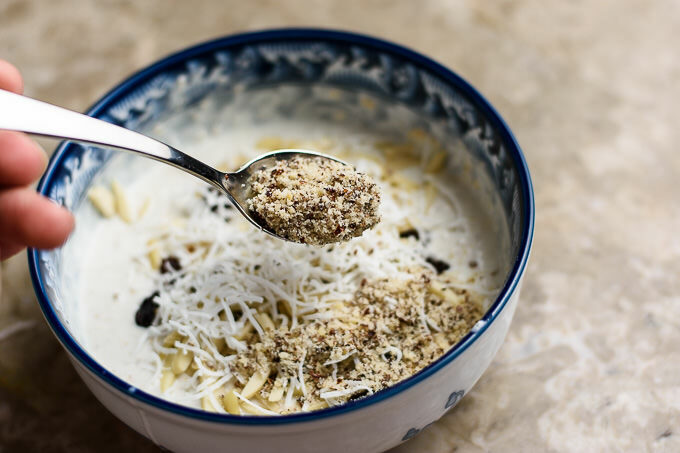 During our trip to Jordan, I learned this nifty recipe from Nasim’s sister. 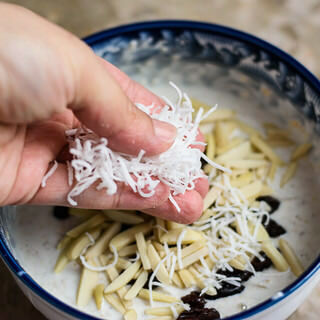 This recipe includes array of ingredients like nuts, raisins, shredded coconut threads and honey to make this dish one fulfilling breakfast. 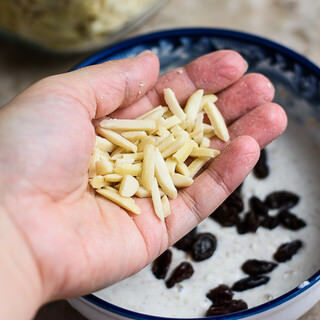 If it passed my husband’s test, I can say that any oat lover will enjoy it. Not to mention that if you have all the necessary ingredients, you can toss this recipe together in less than 5 minutes. 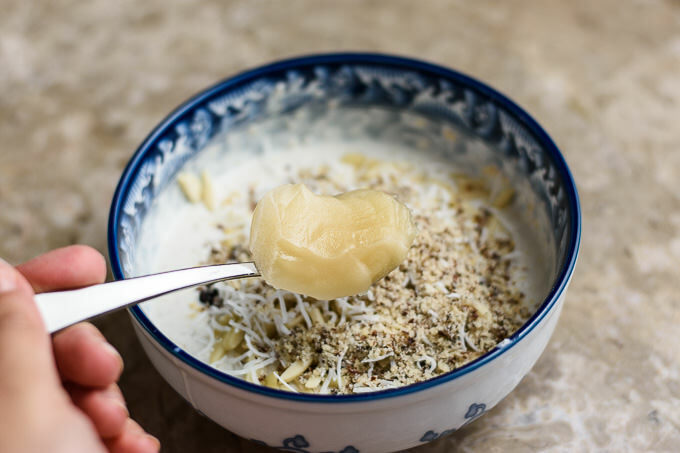 While you can use store bought Kefir for this recipe, watch out for my recipe of homemade Kefir, which I will post sometime next week. As a family we are very fond of this fermented liquid. 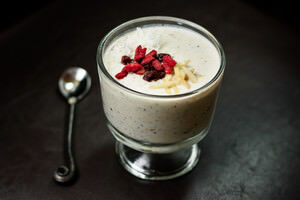 Kefir is quite fluid, but yogurt has somewhat of a thicker consistency. 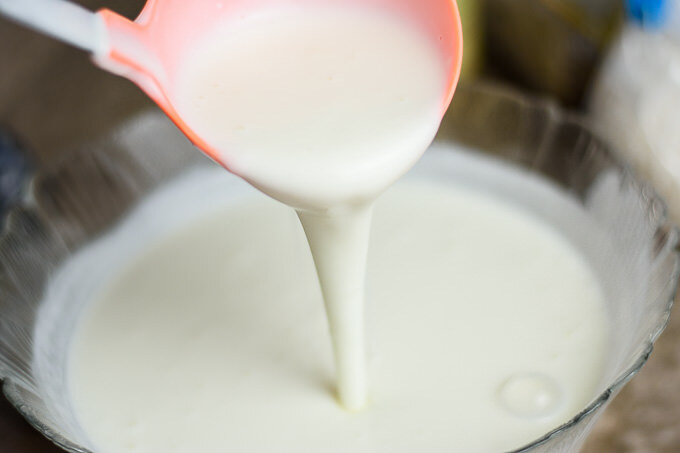 If you are using store bought yogurt for this recipe, the best way would be to mix it with a little bit of milk or just mix in the watery substance (called whey) that you usually see on top of yogurt when you uncover the lid. 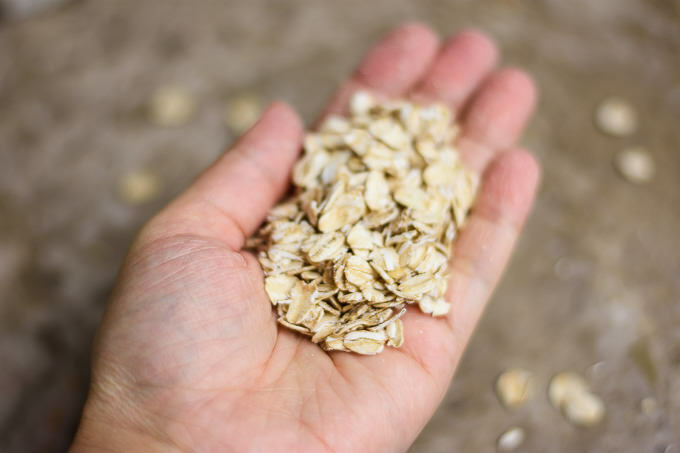 When it comes to oats, you can use any oats of your choice. 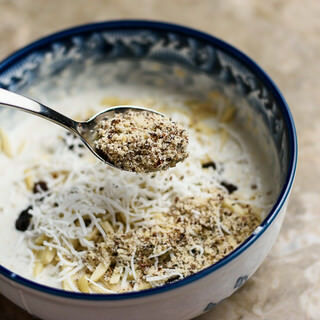 Just know that some oats like steel-cut oats will not work for this recipe. Unless you soak the oats in kefir overnight. 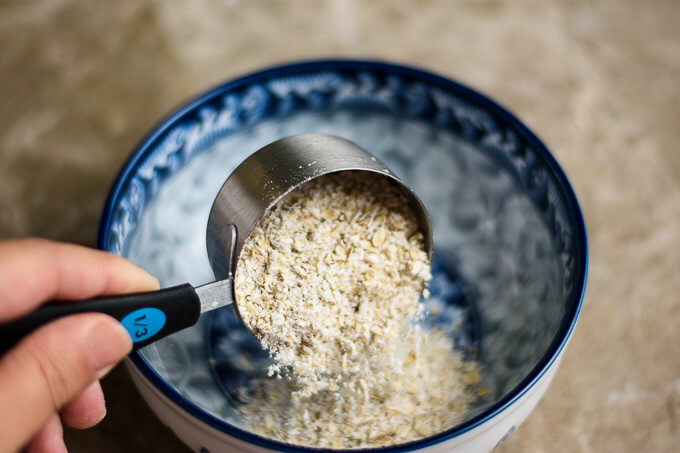 I had rolled oats handy and gave them a little chop in the food processor. This made my kasha less grainy and assured that oats soaked up the liquid quite well. 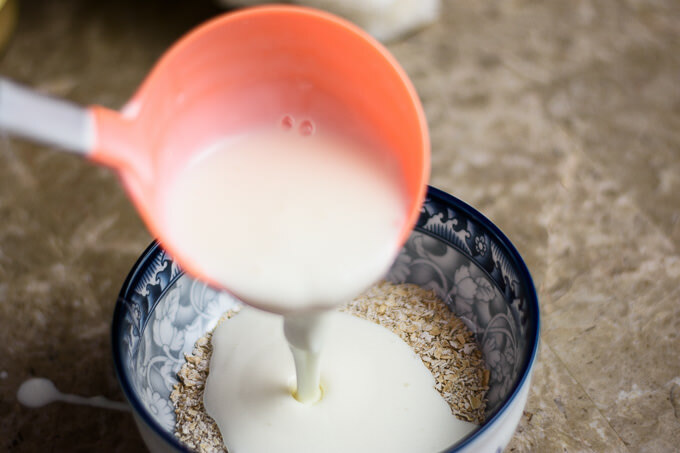 In a small bowl place the oats and pour the kefir over the oats. Stir well and let the mixture sit for about 2 minutes. 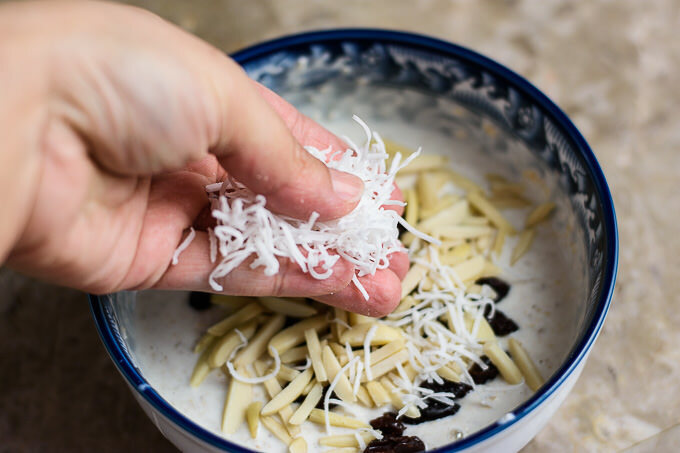 Add raisins, nuts, hazelnut meal (I love how earthy rich the taste of oats becomes after this ingredient), shredded coconut threads and mix everything well. 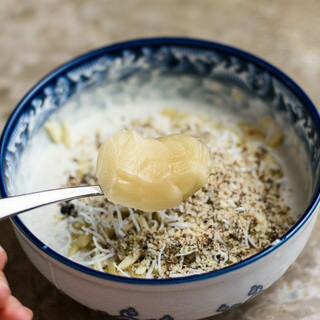 My husband loves a little sweetness that honey adds to this recipe. He claims that it keeps him satisfied in order not to reach for other types of sweeteners. 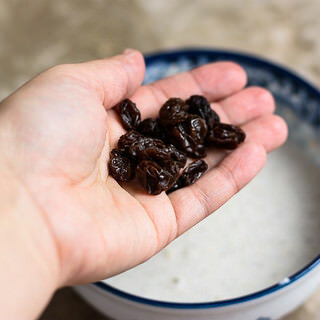 I, on the other hand, find raisins to be sweet enough and don’t find the need for adding honey. 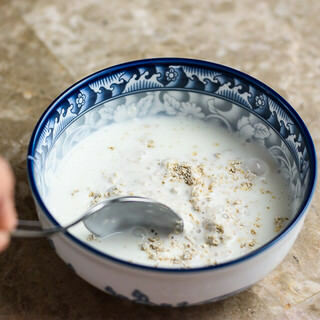 Try these oats with both honey and without. See which option you like better and adjust your kasha accordingly. Viola! 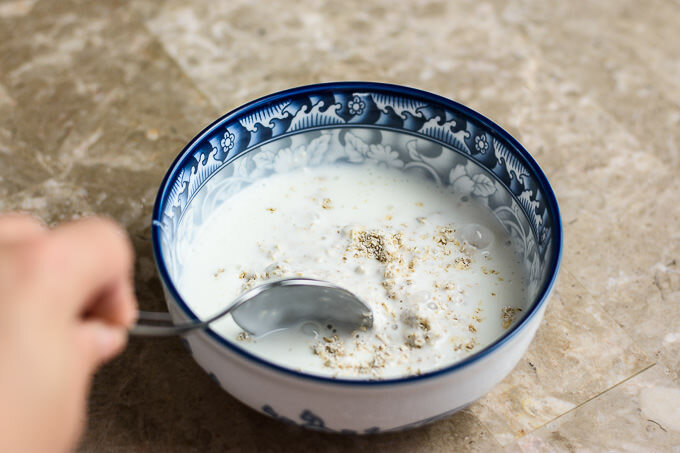 Your breakfast oat porridge is ready! 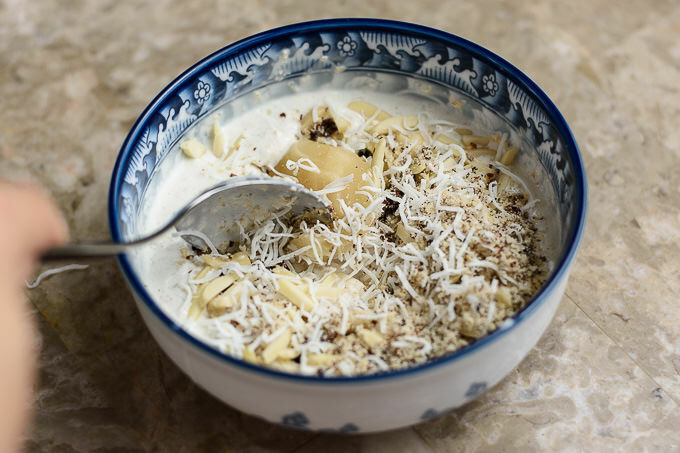 This recipe for breakfast oats in Kefir includes array of ingredients like nuts, raisins, shredded coconut threads and honey to make this dish one fulfilling breakfast. 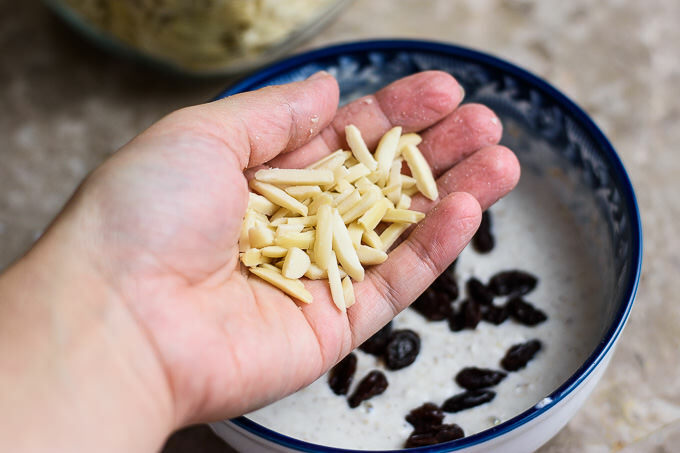 If it passed my husband’s test, I can say that any oat lover will enjoy it. 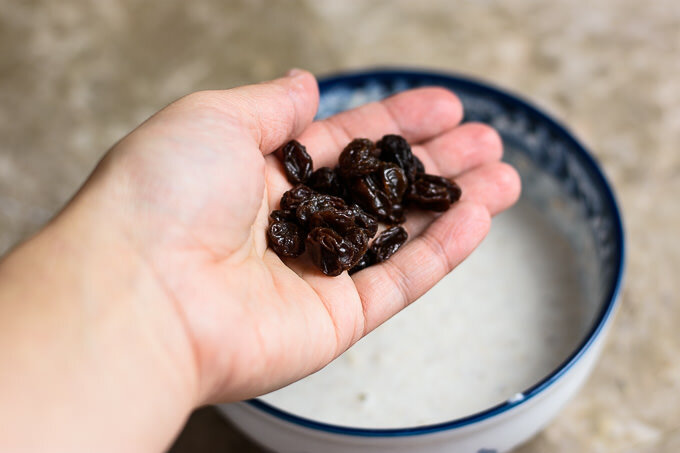 Not to mention that if you have all the necessary ingredients, you can toss this recipe together in less than 5 minutes. I never thought of combining my keifer with my oats! and with such yummy add – ins :) I made this without the ground hazelnut and raisins at first because I didn’t have them on hand and it was still yummy but the raisins and hazelnut really do take it to the next level. I make this unmodified now – you nailed it!